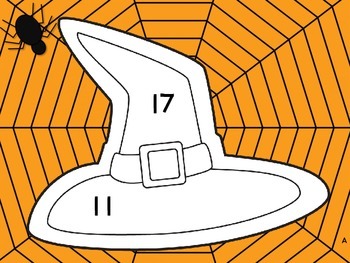 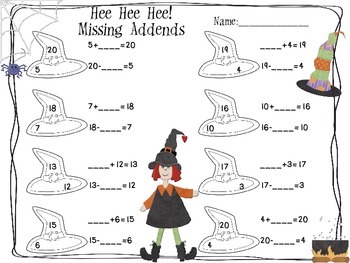 Get your kids up and moving with this great little activity will fit perfectly into your Halloween math. 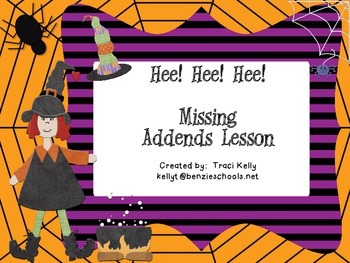 It can be used as a stand alone lesson, a center, or for a small group. 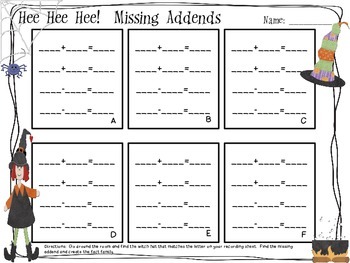 Included is a lesson idea, missing addend posters, a recording sheet, and a practice page.